Surface Protective Material film for Laser Die Cutting. Surface protective materials for metal plates that are suitable for use in laser cutting. PF-564 was developed for the surface protective of stainless steel and other metal plates and is especially suitable for protecting the surface of metal plates during laser cutting. 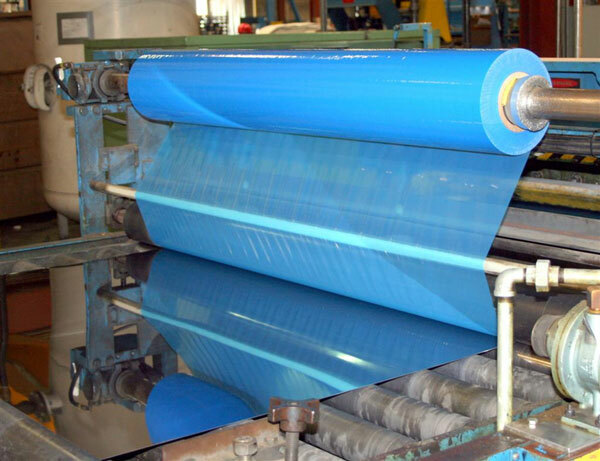 Because PF-564 uses no polyvinyl chloride film as a base material, it enables a reduction in the corrosion of laser processing equipment caused by chlorine type of gas. PF-564 features excellent adhesive characteristics and allows top-end surface cutting during laser processing, which was previously not possible.